Hi… my name is Joseph Benante. Some want you to pick a side, either Science Theory or Religious Theology. What if they are both Wrong ? You can know the truth of our past, present and future for free. This could be the greatest explanation of the greatest story ever told. Did the earth expand ? Will the earth expand again ? Why is the globe warming ? Was there a worldwide flood ? Does the fossil record support this theory ? Do the ocean floors give us clues ? What about Pangaea ? Why are there Pyramids ? What does the bible tell us ? What is “666” the mark of the Beast ? What is the Beast ? Are UFOs real ? Where did the Mythical gods go ? You can understand the prophecy in the book of Revelation !!! My Theory since 1995 is “The Earth Expanded only one time, it took only one day and that was about 4350 yrs ago and it will expand again.” We are living between the Flood and the Fire. WHY IS THIS CORRECT ? The Continental Drift Theory ? An island, PANGAEA, on a big earth separates left to right slowly over 225 millions years. They claim it is still sliding. WHY IS THIS INCORRECT ? The Tiny Expanding Earth Theory ? 100s of Millions of years ago, the earth was less then 1/2 of its size and is still growing. WHY IS THIS INCORRECT ? Three Different Theories….. Who Got it Right ? I cut up and use a 12 inch globe in scale to represent earth. When the earth was smaller to get the scale, we must stretch out the mountains and account for the continental shelves. 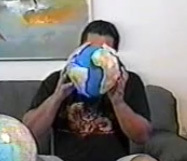 Then it would be about a 9 1/2 inch globe. The smaller earth expanded by less then 1/4 of its size. See the three photos above, compare my models and their different sizes to each other, not to the globe. Although all three theories above claim the continents were connected, the “How, When and Why” are very different. This is a video by me explaining the origin of The Earth Expanded theory. In the beginning a vibration was created in a finite universe. This caused a force of resistance and a 2nd space inside it. The 1st space closes up on the occupying 2nd space. This led to the “Big Bang” of the 2nd space and afterward something had to form first. The Bible says it was earth. It soon was formed out of hot gases and particles. Condensation formed around the hot gas sphere due to a cold universe, forming a water covered clay surface. Inside gravity is pulling the heavier particles inward. They become denser and heat up, expanding the other material, causing pressure inside. The pressure forces the hot magma outwards in all directions forming layers that cool under the surface. This caused it to spin. Then the earth and the condensation heated up again and the lighter gases rose, like oxygen and nitrogen, forming a thicker atmosphere. The excess surface water drained into the crust as it thickened and vegetation began to grow. The earth started off with a solid crust, there were no continents or oceans. It did have seas and lakes in the low spots where the crust became thinner. Then the other objects started to come together in the universe. The earth stayed this way 1000s of years. When it was smaller you could walk around the earth and it was pretty smooth. No mountains or really high hills. The crust was warm and the atmosphere was cooler and thicker, this cause the land to have a mist over it. There was two frost zones, north and south and a wide heated zone in the middle at the original equator. There was never an ice age, just seasons like today and later a major climate change. The center of the earth became denser and hotter. The increasing pressure formed volcanoes producing ash. Heat rose high into the atmosphere warming it and became thinner. The water in the layers of the crust were forced upward and the land became saturated. The ice caps melted and it began to rain, flooding the entire earth. When enough pressure built up, the magma below the surface was forced outward. Uplifting occurred stretching the planet. This cracked the solid crust into continents and they retracted, forming the ocean ridges. As they briefly sank inward increasing the pressure, then the continents separated outwardly. The magma filled the spaces in between forming the ocean floors as the earth expanded. The flood waters drained into and filled the new basalt ocean basins. The total surface area expanded closer to the sun in perspective. As it increases in size the suns light and heat now increases in strength. The atmosphere becomes warmer and thinner. The effect of the sun’s radiation becomes stronger. Gravity increases. There is No extra mass needed. We know this because in the earth there are layers of density. An inner core, outer core, a lower mantel, upper mantel, magma and lithosphere. The density of the earth changes by the force of gravity and the increased pressure as it heats and cools. When the earth expanded it tilted from the original axis. I have been sharing my The Earth Expanded theory, since I first read the bible cover to cover in 1995. In the past I shared my theory and truths about our world on local TV access channels and 100s of 1000s have seen them. I made my first video in 1997. I put my website together in 2005. 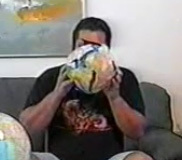 I have always used a cut up globe and used a balloon. It still works showing us what happened. Cartoons can be drawn and Graphics can be manipulated as shown by others. This is to make any theory possible that someone wants you to believe. Soon the Earth will Expand Again…LEARN THE PROPHECY OF YOUR FUTURE ON THE REVELATION PAGE. The planets and moons with high mountains have expanded, smoother ones have not. For an experiment, take a piece of hair pinching it with your fingers, between your right and left hand. Now pull it apart. What you will notice is a smoother area on one side and a very jagged area on the other side, depending where it broke. Every action has an equal and opposite reaction. When the land pulled apart, it is how most mountains formed. Asia’s formed when pulling away from the west side of the Americas and the north of Australia. Now there is an enormous amount of land piled and rippled on top of Asia. Due to its new weight a lot of pressure builds up under it causing many earthquakes and volcano eruptions. Some parts of the oceans are shaped with high ridges and deep valleys. Regions around their coastlines are called “the ring of fire”. Most of Asia’s land mass is still under the Pacific ocean stretching to the middle of it. In places where the crust was thin it had large seas on it. When uplifting occurred, some land underwater was thrust upward and mountains were formed. We can now find seashells and fish bones on the top of mountains. There was never a flood higher than 15 cubits/ 25 feet over Mt. Everest or the highest mountains. Only about 250-280 feet above the surface of the smaller earth. The ocean floors between the continental shelves are all made up of basalt, volcanic material. Also they are dated much younger and thinner then the thicker continents. Notice all the continents move apart at the same time. The earth did not need 100s of millions of years to expand. It took less then one day. To enlarge some pictures just click them. 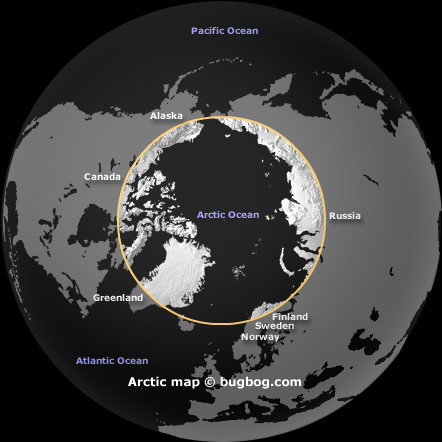 More proof is the forming of the Arctic circle and the shape of the continent’s tops. 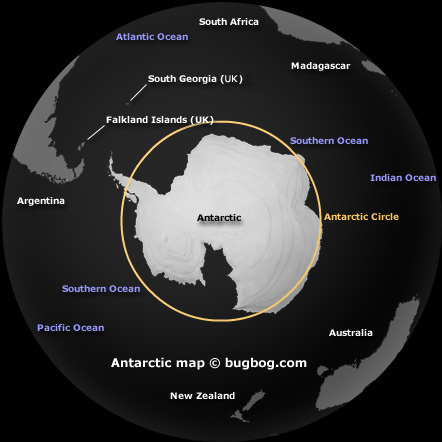 Also Antarctica is almost a complete circle. It was ripped apart while the earth was rotating and as it moved outwardly and south away from the other new continents. In less then 24 hours. Global Warming is real and not from a factory on a hill in China. Pressure has been building since it expanded. Today more heat is being forced through the thinner ocean crust. The oceans are heating up more at the lower depths. The heated water currents rise and the air becomes more humid at higher levels. Now the winds have more mass to move around and its effects feel greater, affecting jet streams. When the air is humid, it appears you sweat more and when its damp you get colder. Greenland’s ice is melting because of warmer wet jet streams. There was more ice in the Arctic and Antarctic in 2014 then 2012. This is why there is an endless debate about the different views on Global Warming and who’s right. Ocean floors are actually being lifted up now and heated water expands. This causes coastal flooding and erosion. This can be seen in the seas near Europe too. Nobody is paying attention to the real cause or we are being misled. The earth is about to expand again. We know men and women have been here for about 10,000 years, because of building structures. The people of earth were judged good and bad about 6500 years ago. The good became the Messenger/Angels. Adam and Eve were created about 5800 years ago according to the Hebrew calendar. I will explain more on the Pyramid and Bible pages. The bible says the flood covered the whole earth in the 2nd month, on the 17th day of the month, in the 600th year of Noah’s life. The crust was thin when it cracked at Noah’s time about 4350 years ago. The relationship between gravity and centrifugal force was different. The greater the size of earth and the denser it gets, the speed at which things are pulled to its center increases. Also there was more oxygen and less UV rays before the thicker atmosphere expanded. The bible says people lived almost 1000 years, then after the flood only 600, then 300, then 150, then 90 years. Interesting. Since that time the earth has been heating and cooling forming more layers under the crust and it is now thicker. The earth will crack open again, but this time it will be the most powerful earthquakes ever. There will be many lava eruptions, ash plumes and fires. As the atmosphere thins, the sun’s heat will be more intense. The earth will spin faster, then shortly after expand, but not by much this time. It has to reach a state of equilibrium so we can live on it a long time. Many years after that it will heat up again, but it will not expand. There were small and large animals. Some we call Dinosaurs today, they walked with man. Also there was some large trees like sequoias even in Lebanon, and there was large vegetation. Animal and man could lived longer, were stronger and had the potential to grow larger. 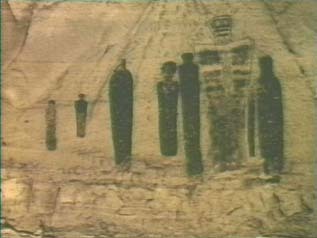 The pyramids were all built on the same line. 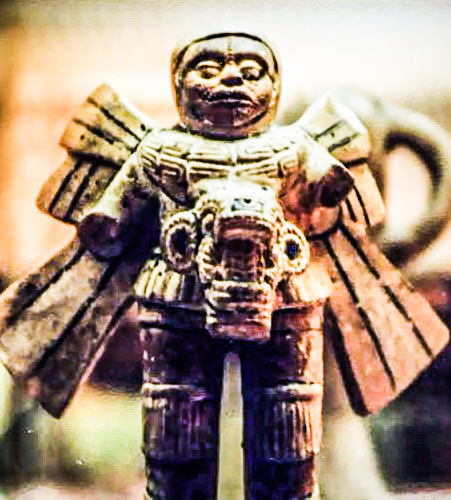 All around the world on an ancient trade route, in the warmer middle of the smaller earth. The pyramids started to be built about 4450 years ago. The day the earth expanded was about 4350 years ago. Adult people on a small earth ranged from 4-6-8 to 10 foot tall and some after the earth expanded. 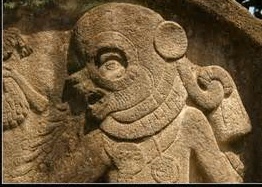 This is according to archaeological digs and the bible. Today we range 4-6 to 8 feet and some people still have the tall gene. Others have an over active pituitary gland that makes them grow real fast, as tall as 9+ft. That is 1/3 above the average and that was the same for some people on the smaller earth. 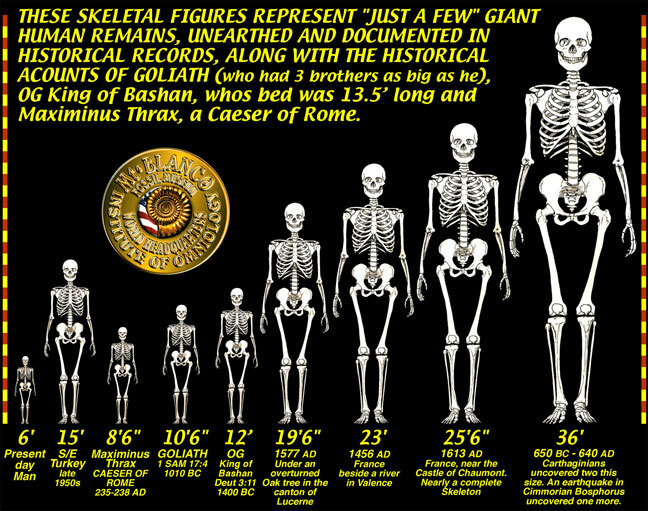 Were there even larger people called giants ? Yes ! The giants are the results of Men once deemed good. The men’s bodies were improved with longevity by eating a certain food that was given to them. These men were to help the rest of us, instead they slept with the women daughters of Adam. 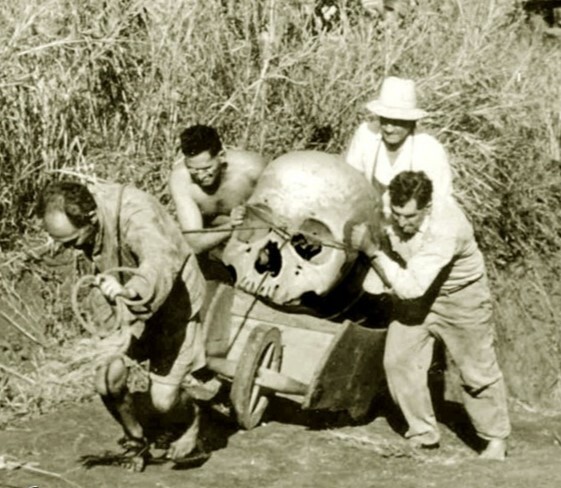 The result of the mixing of the two body types were giants. Some giants then slept with other giants making even bigger ones. We see this when we mix similar, but different species like a male Lion and a female Tiger. It creates a Liger which is a giant cat. 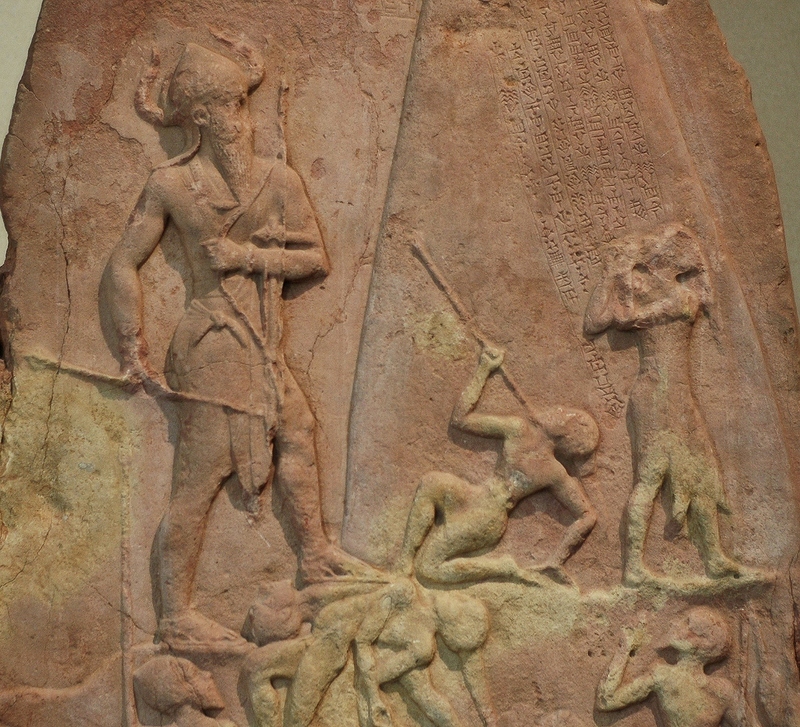 Below the tablets are Sumerian. KEEP GOING TO MY OTHER PAGES AND SEE THE FULL STORY UNFOLD– Next is Ocean Floors. There is now a wonderful opportunity to own this entire Website in 138 page, large Book form. The book is On Sale Now. I do receive a few pennies for each book, but I am not offering them to make money. You can purchase it online at Amazon and other places. Available in many countries too. You might prefer one for its convenience. You may want to carry it with you and share it with others. A picture can give as much insight as a 1000 words. 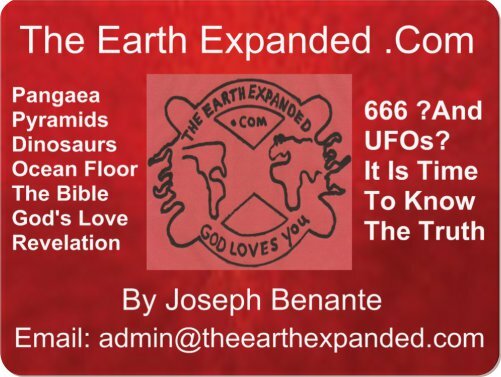 Here is a link http://www.amazon.com/Earth-Expanded-com-Explaining-Dinosaurs/dp/1505316286/ref.com I have also sent out 1000s of dollars in books, with my own money, to others for free. I will continue to do so. Hi joey…. when the earth first formed and was hot at the right temperature, gasses like oxygen and hydrogen rose. They were not burner off by the heat and due to the cold universe the surface of the whole earth was covered by water. When the pressure and heat built up again in the earth the heat passed thru the clay water covered surface and gasses like nitrogen rose and mixed with the oxygen and hydrogen and formed a thick atmosphere. The rest of the water sank back in to the clay surface as the inside pressure decreased and the earth cooled again. I do not know how much original water was formed on earth. but it did not come from comets. 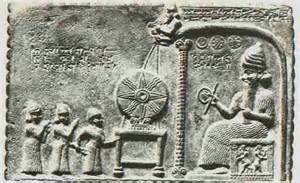 The water on the comets came from the fifth planet from the sun called nibiru. It was five times the size of earth and had water on it. But when it expanded it exploded. It is between mars and jupiter. Just before the earth expanded it began to rain on the earth because the pressure and heat inside the earth increased. The atmosphere became warmer and thinner. The pressure in the earth forced the water that settled in the clay upwards. The ice caps melted and flooded the earth again. When the earth cracked open and expanded the magma from the inside filled in the space.Gravity caused the water to drain in to the lower ocean basins.When the pressure decreased some water settled back in to the clay and in low spots like lakes and seas. Ocean floors are made of basalt thats why the water is salty. Soon the earth will heat up again and the pressure will build once more and our earth will expand again. Our earth is not expanding, it has only expanded one time and that was about 4350yrs ago. Great question i hope this helps.